I was freely hand-lettering the other day while sitting outside on a bench at Blue Cliff Monastery enjoying the beautiful surroundings, warm sunshine and calming energy. What better place to create. 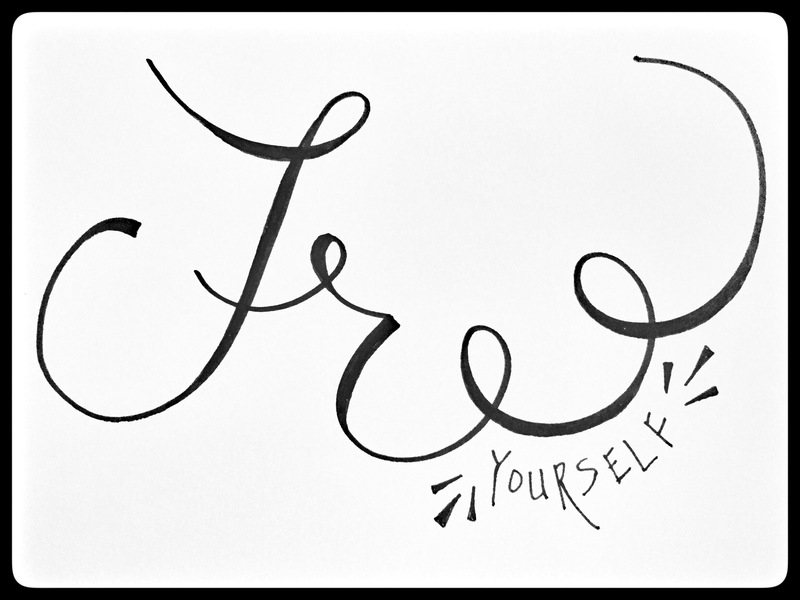 So I was scrolling some letters around the page of my sketchbook and the word free (as shown above) came to be. It seemed appropriate on this day of freeing myself from my usual day activities to take this adventure to Blue Cliff to join the monks for a gorgeous morning walking meditation, a dharma talk and a mindful lunch in silence. Sure, there were moments of feeling trapped in my head or in the discomfort of lunching in silence with a person sitting right in front of me, however, it was all exactly where I needed to be and experience at that moment and it was perfect and peaceful…and free.